Hey there everyone, Doppelgänger here after a very lengthy time away on the forum. Just to put it out there, this is basically a kickstarter to what I think would be a great thread. Here is my idea for a perk that I would like to see come out in future zombie maps. Feel free to use this thread to post your own Perk-a-Cola and Gobblegum ideas that you would like to see implemented into future zombies maps. 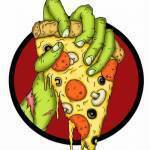 As of late I've been loitering around the forum, attempting to catch up on the latest theories, awesome topics and other general zombies shenanigans. During my time on here and on Youtube, I've been hearing stirrings of a possible new perk that may or may not exist. The perks name is Liquicity and I'm not entirely sure about what it might do and neither does anyone else. Now, I decided to put on my tin foil thinking cap and come up with a perk idea that could possibly use the name Liquicity. Of course it doesn't have to, but as of yet I don't really have a solid idea for the name. As with everything Treyarch does in zombies, I would hope any future perks have weird and wonderful effects on our zombie slaying characters. I'm imaging a perk that would work like PHD Flopper in the sense that it works with the new movement system, i.e. Dolphin Diving from a height resulted in an explosion. How awesome would it be if this "Liquicity" that people are talking about was like PHD where if we slide, instead of explosions following in our wake (which admittedly would be awesome) it leaves a trail of a certain slippery substance we have seen before, only this time in the form of a perk. The substance would work the same as the Sliquifier's ammunition did, in that it allows faster movement speed for allies crossing it and of course the zombies that you slide into and are following you slip and/or die. Of course if it did this every time you slid, it would be overpowered, so what if it charged up as you ran, allowing you to build it up to a certain point where the effect would max out and be at its most powerful. Pricing-wise, I would think about 3500 would be a fair price. Though depending on exactly what it does and how powerful it actually would be, the price could be put up or down respectively. Once again, please feel free to post you own ideas. I'd love to see what you can come up with. I've heard that perk be referred to as Banana Colada. A clever and relevant name, especially if we will be visiting Ponhpei in a future DLC. Bananas-Banana Trees-Island. 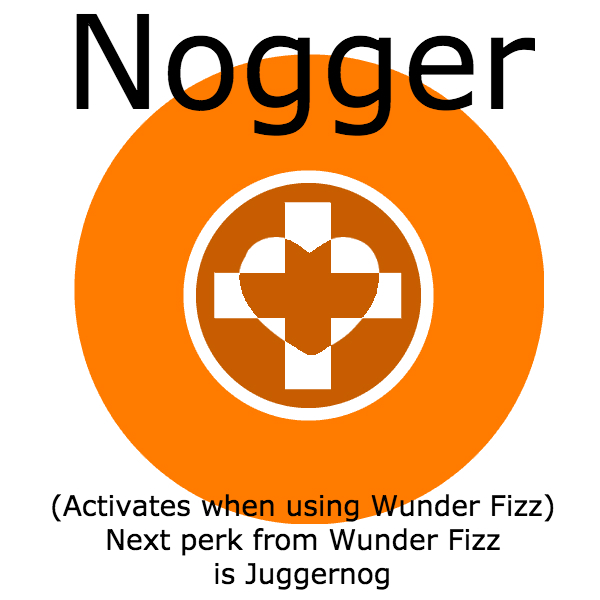 Hopefully the first ever fan-made perk to be included in zombies, and also a necessary PhD avenger. -4 times the amount of air-time. -Fire mechanics (Blast furnace, flame-thrower, thermite) all work underwater as well! Reddit is a frightening and inaccurate place. But at least it's active. GG: Window Trimmings. 2 activations. Creates a zombie death barrier at a window or $doorway (stand at it, face it, during activation) for 5 rounds. Can be used to camp by closing off a window or door, or as a trap to run through in doorway. Won't hurt players. Instakills zombies that touch it. GG: Bubblevicious. 2 activations. Creates a 5 foot radius translucent red bubble, centered on you as you activate it, then it remains static in place, that incinerates zombies that touch it. Lasts 15 seconds. GG: Take Two. 1 activation. All zombies despawn, restarts current round (as time bomb effect) with each player as they were then. GG: Knife to Meat You. 1 activation. Lasts until end of round. You are invincible, have an instakill knife, and no other weapons until it ends. Can't buy guns, can use traps/revive. GG: Extramint. 1 activation. Creates a nearby immobile doppleganger of you that zombies attack. Zombies ignore you until you damage one or round ends (doppleganger dissipates). Perk: Medic-Aide. $2500. Replaces Quick Revive. Creates a 10 foot radius circle whenever you are reviving a player. Zombies that enter it despawn, then respawn elsewhere when you finish reviving. Solo, revives you, price doubles each time for you. Unlimited buy. For 10 seconds every zombie that touches you is changed back to human thus drawing attention away from surrounding players! Fallout Shelter: Lasts until next nuke is aquired: One zombie killed by a nuke will respawn instead of dying. This is mean to keep the round from progressing. Wunderful Surprise: Increased chance of getting a rare weapon from the Random Box. So basically, the chances of getting the wonderweapon, specialist grenades or a Ray Gun from the box increase dramatically. Best on a "Lasts for X amount of rounds" basis. Sounds good. Though you could just have it kill all but one zombie. And to make it less OP, you could nit be rewarded an points. So basically you sacrifice the points for the ability to be safe to do whatever needs to be done, then continue.